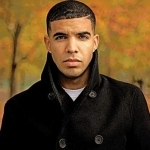 The second single from Drake's Nothing Was the Same album is a Noah "40" Shebib co-produced cut, which finds the Toronto MC singing about a "good girl" whom he attempts to seduce. I want your high love and emotion endlessly." "It's me and 40 just channeling our Quincy Jones/Michael Jackson production duo," Drake told MTV News. "Obviously no offense to the greats, I know we're not anywhere near that — it's just us kinda doing our thing, humbly attempting." "It's not a rap record," he added. "It's not 'Versace,' it's not 'Started from the Bottom.' In approaching this album I was like man, it would be great if we had a record that was played at weddings in 10 years or that people that are away from their families in the army could listen to. Something that just [has] timeless writing, timeless melody." The song features a group called Majid Jordan, who are signed to Drake's OVO Sound label. The act is a pair of Toronto producers, Majid Al Maskati and Jordan "ClassAct" Ullman, who were formerly known as Good People. The song's music video takes place in 1985 Miami and was directed by Bill Pope, who also worked on The Matrix trilogy. It finds Drake playing a criminal kingpin who gets his lover kidnapped by a rival gang and does everything in his power to get his girl back home. Actor Steven Baauer (Scarface) plays the bad guy, whilst rapper A$AP Rocky gives the opening toast. "Basically it's a video full of acting because I'm dying to get back into acting," Drake told MTV News. "So there's actually no performance in the video." "I based it off of some of the old Michael Jackson videos like Moonwalker," he added, "so it's sort of exciting, violent a little and scary a little, but it's great." Drake revealed to Jian Ghomeshi of CBC Radio that he knocked out this song in about two hours. This was Pitchfork 's Top Track of 2013. The alternative music website said: "'Hold On' promises all we can ask for from a pop song (or another person): hot love and emotion, for richer or poorer, for better or worse, in sickness and in health. Endlessly." A version by The Voice Season 6 contestant Christina Grimme peaked at #74 on the Hot 100. Despite being a R&B song, this won a VMA for Best Hip-Hop Video of the Year. Drake gave a acceptance speech during a Boston concert, in which jokingly commented on the oddity of his win. "I know this is a hip-hop award and a lot of you out there are frustrated, like, 'This is not a hip-hop song.' And you know what? You're right -- I tricked you all," he laughed. "Rappers, better luck next year. Thank you."